It’s impossible to miss the most recent addition to the Hanoi Backpackers’ Hostel stable, with its seven-storey, eight-metre wide frontage slap-bang in the middle of the most tourist-orientated area of Old Quarter. The original Hanoi Backpackers’, on Ngo Huyen near St Joseph’s Cathedral, is still going strong, but the new venue combines more modern styling and facilities with a location that is easier to find and more convenient for Hanoi’s nightlife. 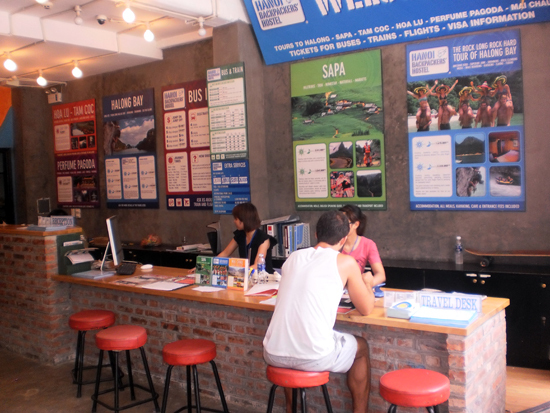 Hanoi Backpackers’ Hostel on Ma May offers more than 160 dorm beds, in both female-only and mixed dorms, with 18 being double-sized for very friendly or budget-conscious couples to share. And, while it makes no excuses for being anything other than a backpackers’ hostel, HBH also indulges those looking to combine the traveller vibe with more private accommodation: twin and double “boudoirs” are available. All dorms come with air-con, fan and windows, and well thought out touches such as lockers for valuables, in which you can leave your iPod charging, and private reading lights. Beds are well-sized and kitted out with fresh white bedding. 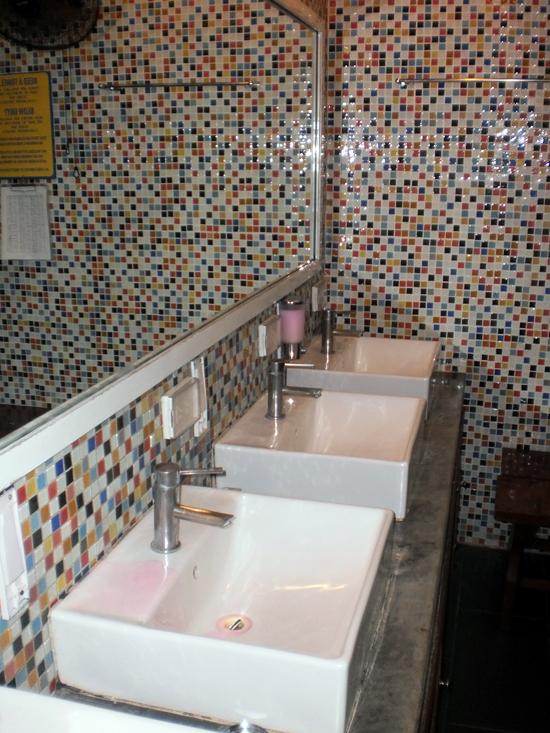 There’s a brightly decorated shared bathroom on each floor, containing shower cubicles and enough space to change. Private rooms are well-decorated – the description is “funky” – and come with their own, equally funky, bathroom. Beds are substantial and inviting, there’s cable TV and large windows with a view. You don’t see that too often in Hanoi. Security’s good too: there’s always a guard on the front door and entry to the guest floors and the rooms is by key card. 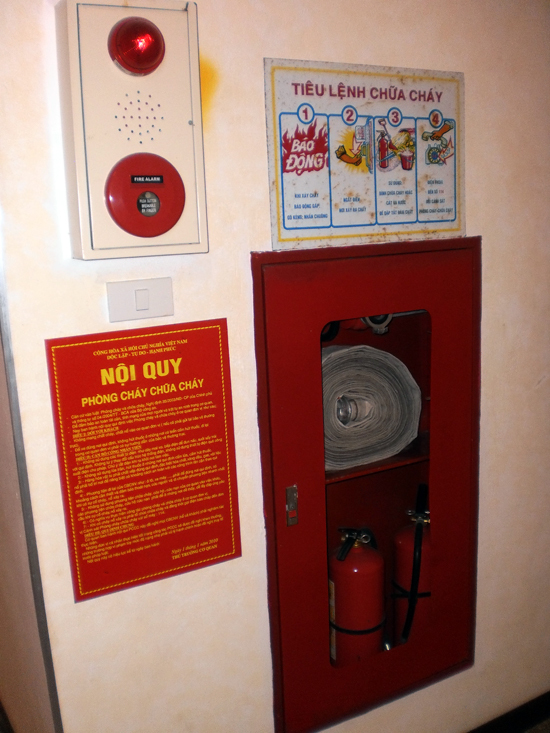 Also, bags can be stored in a locked room behind reception when you’re off on a trip or out for the day. WiFi beams throughout plus there’s internet stations by reception and in the guests-only lounge on the fifth floor. The private lounge is a real bonus: filling the entire floor, sofas and beanbags surround a large flat-screen TV and the slightly more active can play pool or table football. There’s also a large balcony. For when you need a break from sightseeing. And then there’s the bar on the ground floor. 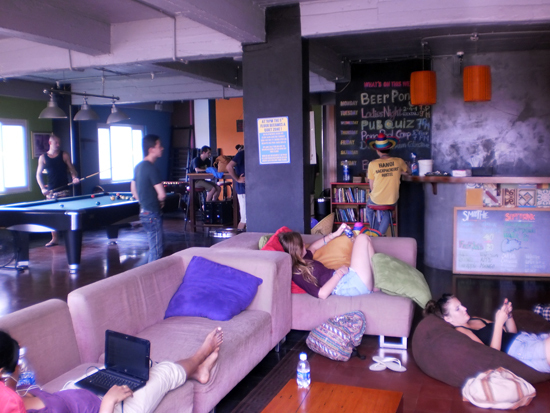 The new hostel’s made up for the lack of space at the original with a huge bar area alongside reception, serving a good range of beers, spirits, soft drinks and freshly made fruit smoothies. It also has an extensive food menu, including Western comfort food staples and Vietnamese dishes, all reasonably priced and tasty. The bar hosts various special nights and regular happy hours. And how happy they are. 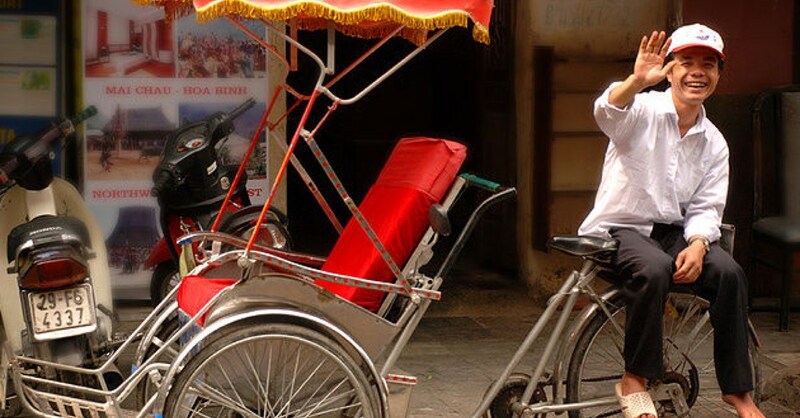 As with most other hostels and hotels, you won’t have any problem booking a tour or onward transport here. Details of tours to Perfume Pagoda, Sapa and Mai Chau are emblazoned over the walls and the ‘Rock Long Rock Hard’ Halong Bay tour is widely regarded as the best on offer, if you’re up for a bit of partying and something more active than the usual kayaking. The two-night option also includes a stay on their private island. Other services include money exchange, towel hire and burning discs. Dorm beds are the same price as at other hostels in Hanoi, at $6 for the standard beds and $9 for a double, including breakfast. This would be good value even if just the beds were taken into consideration, but with the added extras like the lounge it becomes a great deal. At $40, the private rooms are also comparable in price to nearby alternatives, such as Cozy Hotel 2, Classic Street Hotel and May de Ville, so it really comes down to whether you want the atmosphere of a hostel or prefer a bit more peace and quiet. 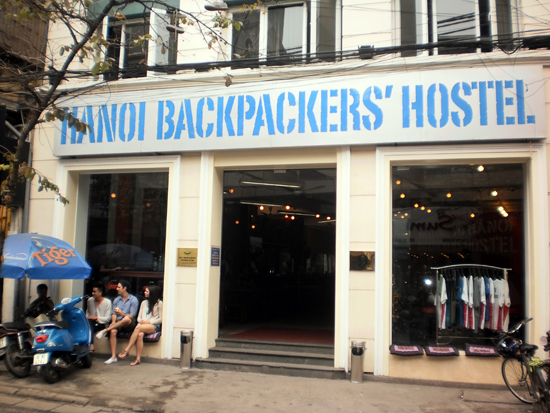 If you want a dorm bed but Hanoi Backpackers’ doesn’t sound like your kind of place, Hostel May de Ville, about 5 minutes’ walk away off Ta Hien, has more of a hotel feel to it, but still offers dorm beds at the same price and has a common lounge area. Or try Little Hanoi Hotel on Hang Ga – but that only has one dorm room and gets booked up, so get in quick. The atmosphere at HBH is hard to generalise about, as it really depends on how busy it is and who’s there. Amazingly, despite its size, it’s often full, and 160+ backpackers can make for one helluva lively vibe – particularly when you throw free shots and a game of beer pong into the equation. Other nights it’s more chilled and a pleasant place for a beer and a bite to eat. Unfortunately, which way it’s going to go is difficult to predict. 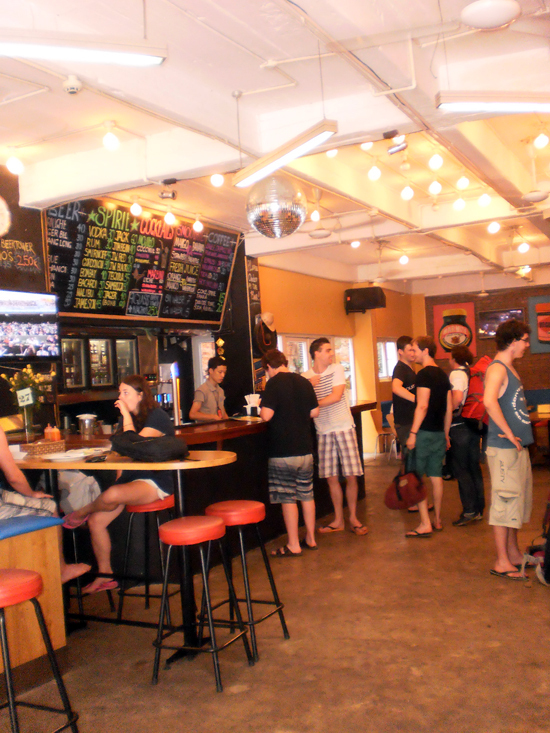 HBH on Ma May is a great addition to the accommodation and social scene in Hanoi, and it’s certainly a good place to meet like-minded travellers; it won’t suit those looking for a more cosy, family feel, a traditional style or simply want to avoid the – mostly young — backpacker crowd. 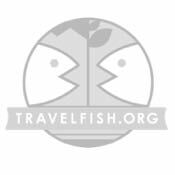 Disclaimer: Our Hanoi correspondent worked on the branding and design for this place in the past but its dominance in the accommodation scene in Hanoi means it still needed a Travelfish.org write up.